Phenotype is a small UK-based agency specialising in design for the web. Our core team are experts at design, strategy, and build for all things web-related. However, we are much more than this. Phenotype is not just an agency, but a network too. We create dream teams for each project, and thus our work and client list is greater than our size would suggest. To date, our clients have included: Channel Five, Amnesty International, Nike, Paramount Pictures, Skype, Myspace.com, Unilever, Ford, Disney, Faber & Faber, Diageo and Peace One Day. 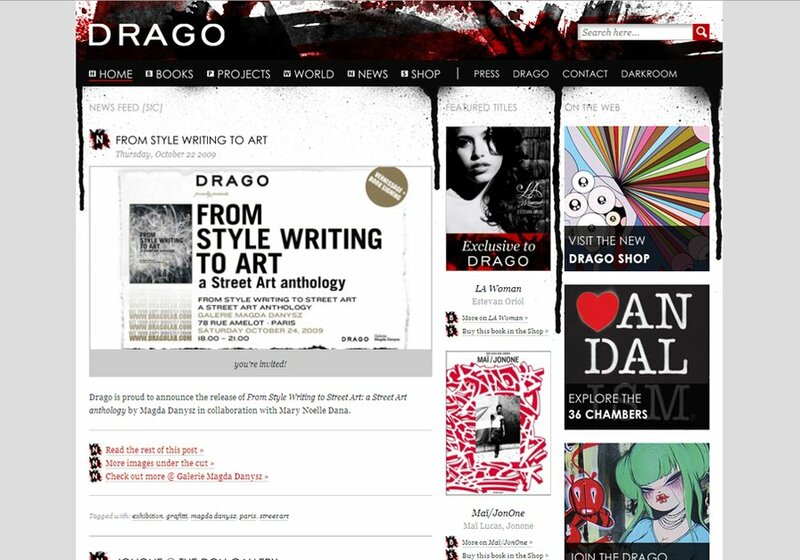 This is a site we have just finished building for Drago, an Italian underground art publisher. The look and feel of the site and the technology that underpins it — heavily customised deployments of MODx CMS, Magento e-commerce — give a good representation of our signature style of bespoke web development.